Telestr8 is a desktop application that has a sole purpose of annotating images shared by Telestr8 Mate or any image shown in the desktop. At the end of every session, all images are stored in a folder in Picture Library (as .png) for future use. As I mentioned on my previous blog post, Telestr8 works closely with Telestr8 Mate that it is important that Telestr8 is installed in one device and Telestr8 Mate is running on another device for them to communicate. From Telestr8 Mate, we can share images to Telestr8 and these shared images will be displayed in a panel on the top-right of Telestr8. a) Toggle annotation mode on/off – This mode will allow you to annotate on any image you selected. This means you can take a screenshot of your desktop so you can annotate on it. This will then be added to your card panel for future use. c) View any connections (IP Address) your device is connected to. d) Help menu – You will be able to read 3 pages worth of documentation on how to use the menu of Telestr8 (like this blog post, but more detailed). Once annotation is toggled on, a screenshot of your desktop will be added to the collection of images in your card panel. 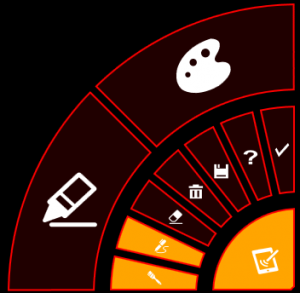 a) Select brush size and brush color for annotating. c) Erase all annotations (strokes, etc.) on the image you are working on. 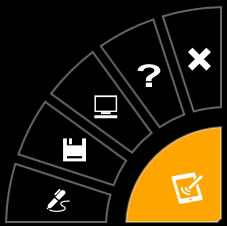 d) Create a copy of the image you are currently working on and automatically add it to the collection of images you have on your card panel. f) Done annotating! – Saves all the strokes or any changes made on that image replacing its original image. 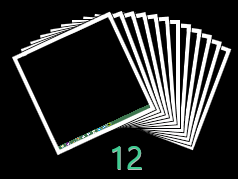 2) On Exit, the animation of showing all of the images stored in your card panel and one by one getting moved out of the view mode then at the end of the process, all of it are display in the photos library with all of the images saved as PNG files. These features are accomplished by using Storyboard’s DoubleAnimation and also using Blend to do fluid layout. Both features have very challenging animations that once you get the hang of it, it becomes very easy to deal with.